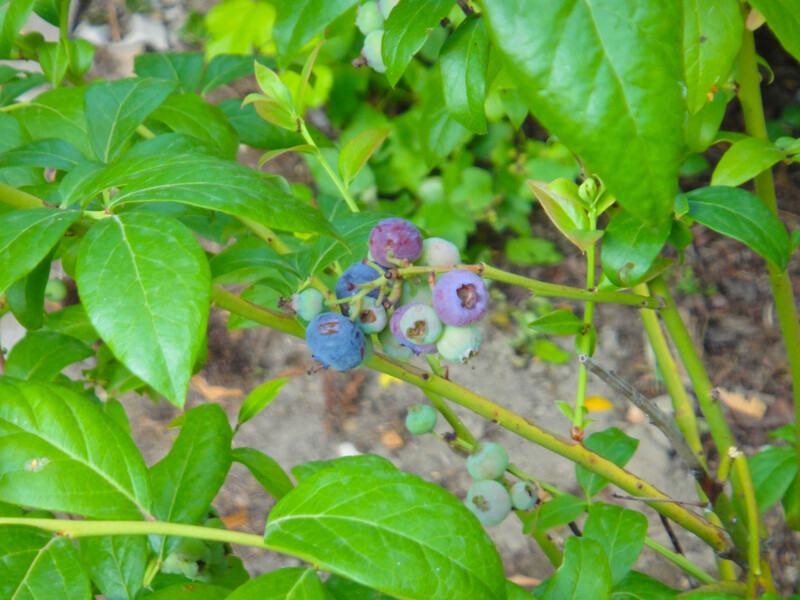 This recipe for fresh blueberry compote is easy to make and very versatile. You can add it hot or cold to pie, spongecake, ice cream, yoghurt, French toast, pancakes, waffles, crepes. 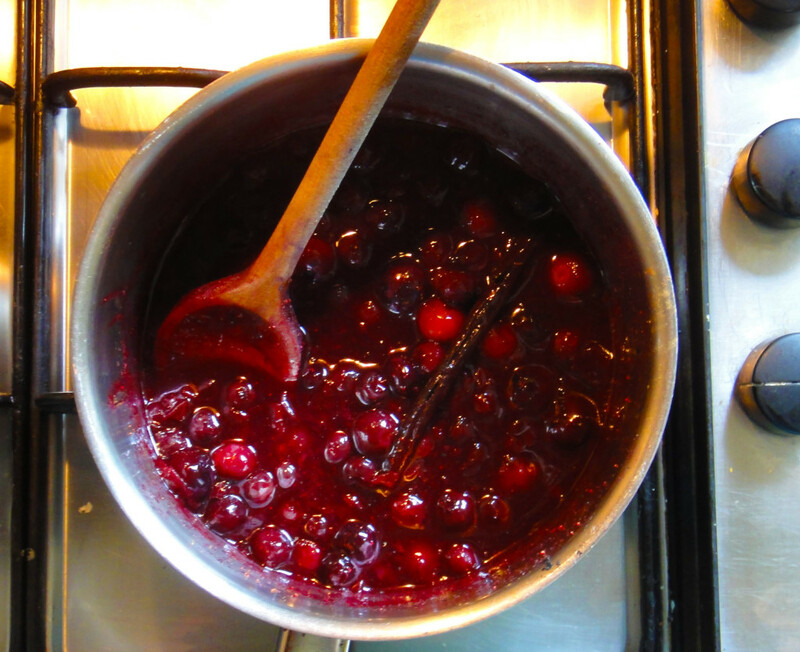 This is a borrowed recipe (see above), which I have merely added a couple of extra ingredients that I love to make this a lovely, spice-infused compote. Pick some fresh blueberries (or buy them or take some frozen guys out of the freezer). 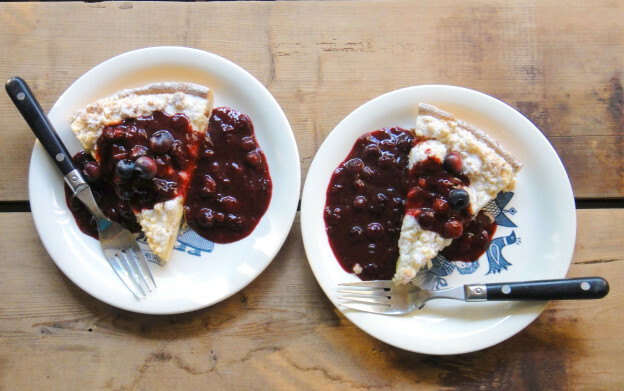 Pour the fresh blueberries (minus the few) into a medium sauce pan. Add all the other ingredients (minus the lemon juice) and cook over medium-high heat. Once boiling, reduce to a simmer and cook for an additional 10 minutes. 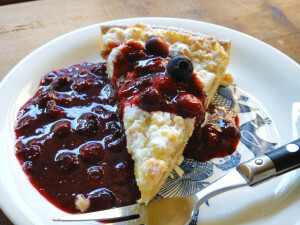 Step 3 After 10 minutes, gently smash the blueberries against the pan using a wooden or plastic spatula. Add the remaining blueberries and cook for an additional 5-6 minutes to heat through. Step 4 Add lemon juice, if you choose — to taste. It gives the compote a bit of a tangy kick. Use it or don't use it, but only use a fresh lemon if you do. Pour onto something equally delicious, then have a taste-gasm within the first bite. You can also eat the compote cold. This entry was posted in Food, home + garden, Sweets and tagged blueberries, cardamom, cinnamon, cold, compote, dessert, fresh, hot, lemons, sweet, vanilla bean on 21 July 2014 by peas. 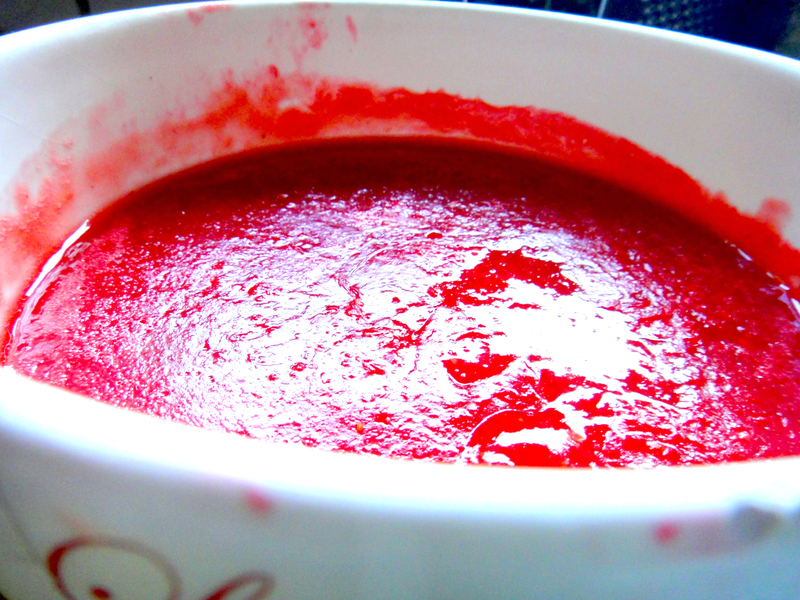 A messy –but tasty– bowl of coulis. The Dutch make really, really good ice cream. 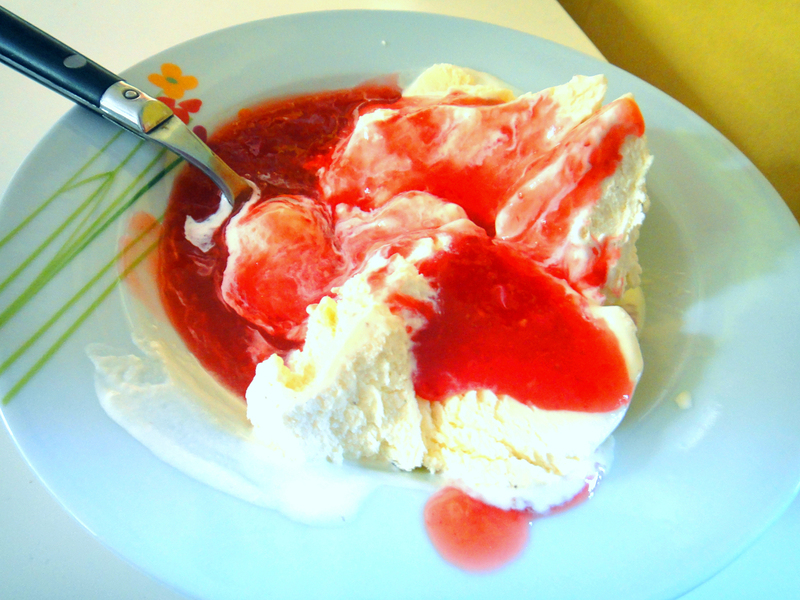 I had M buy some vanilla bean ice cream and made a raspberry-strawberry coulis to go on top. It was divine! 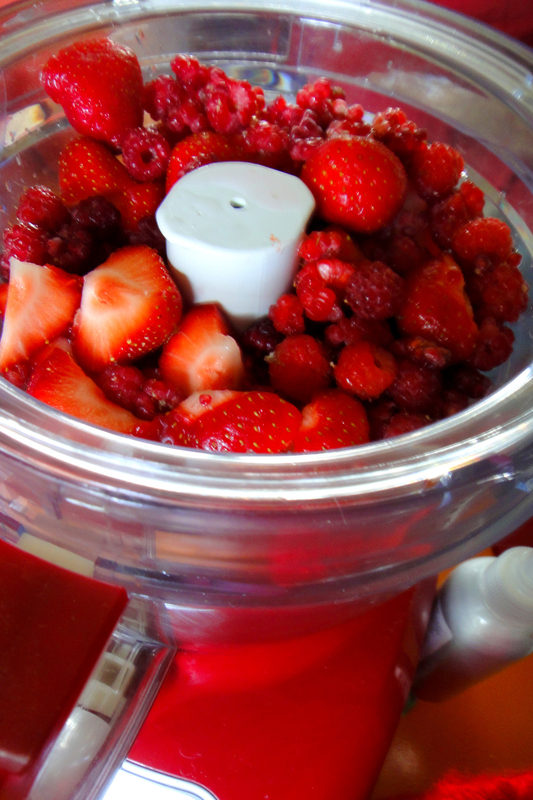 Put berries and about 1 cup of water in food processor or blender until smooth. 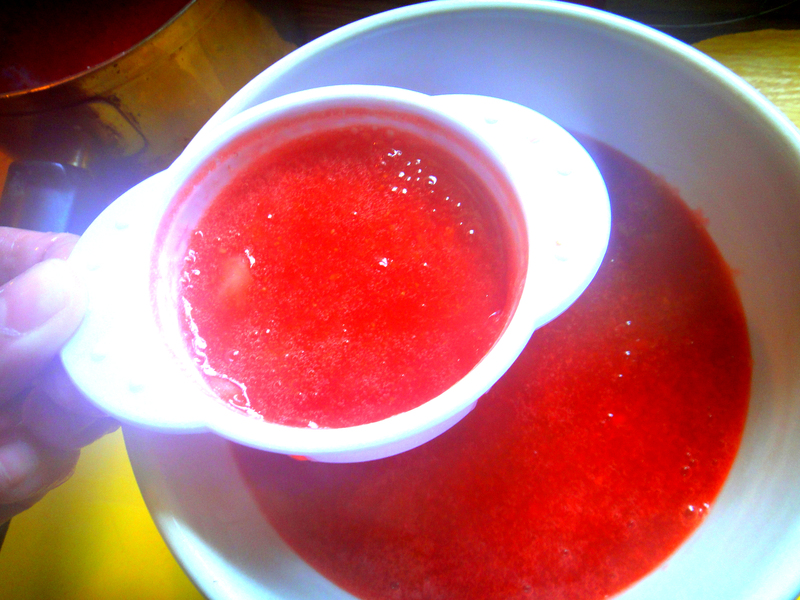 Combine puree, about 1.5 cups water and the sugar in a small saucepan. In a small bowl, whisk together lime juice and cornstarch until smooth. Add cornstarch mixture to berry mixture and bring to a boil over medium heat. Cook 5 minutes or until thick, stirring constantly. You can strain the mixture or not – I like the bits, so I don’t strain. Spoon over vanilla ice cream, other desserts or add to a martini! This entry was posted in Food, home + garden, Sweets and tagged coulis, dessert, ice cream, raspberries, strawberries on 2 July 2012 by peas.